Coming up with different and interesting gift ideas can be one of the trickiest parts of holiday shopping. I personally love gift giving. I grew up in a family that gave pretty extravagant gifts, so I tend to go big or go home. There’s just something so satisfying about giving someone something that they would never think to buy themselves. I’m always wracking my brain trying to come up with something cool and different that the recipient will love. Subscription boxes have totally blown up in popularity the past couple of years, and with good reason! Most people love opening gifts. With a subscription box, it’s like getting a surprise gift in the mail every month. (Especially since you usually forget that it’s coming!) Which is why I think that they make great holiday gifts! Depending on how much you want to spend on a gift, there’s a subscription box that you can gift to someone in your life. I did some research on some of the most popular boxes out there right now and rounded them up for you! The Deal: The Netflix of jewels, Rocksbox is a totally cool service for the fashionista who always wants something new. You fill out a style survey online, and a stylist chooses 3 pieces of designer jewelry (valued at $200!) to be sent to your door. The jewels are from designers like House of Harlow 1960, Loren Hope, CC Skye and Gorjana. Wear the pieces as much as you want, and swap them for more pieces whenever you’re ready. Fall in love with something? Buy it for 20% off its retail price! I LOVE Rocksbox. Special Discount for A Sparkle Factor Readers: enter code: stephaniexoxo to get one month free! 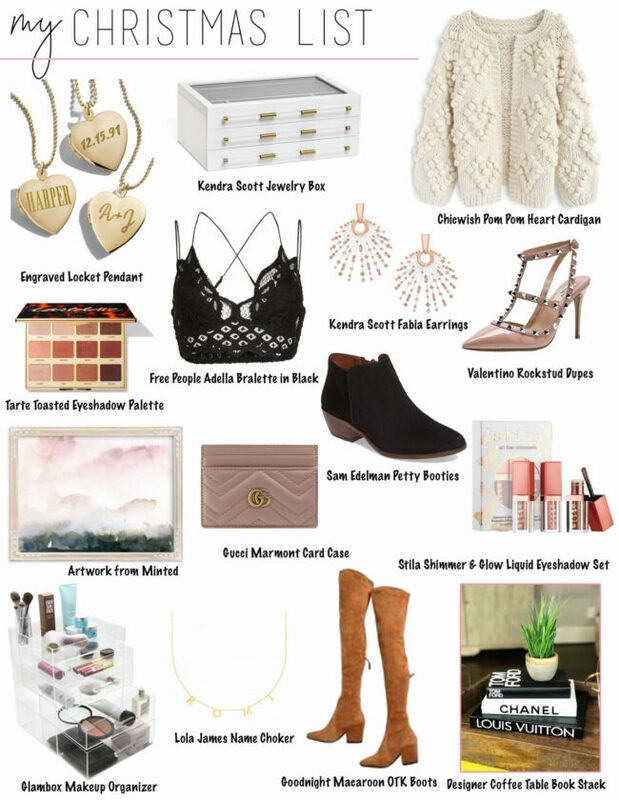 The Deal: One of the more expensive of the bunch, the PopSugar Must Have box is nonetheless chock full of enough designer goodies to make it worth the price tag. 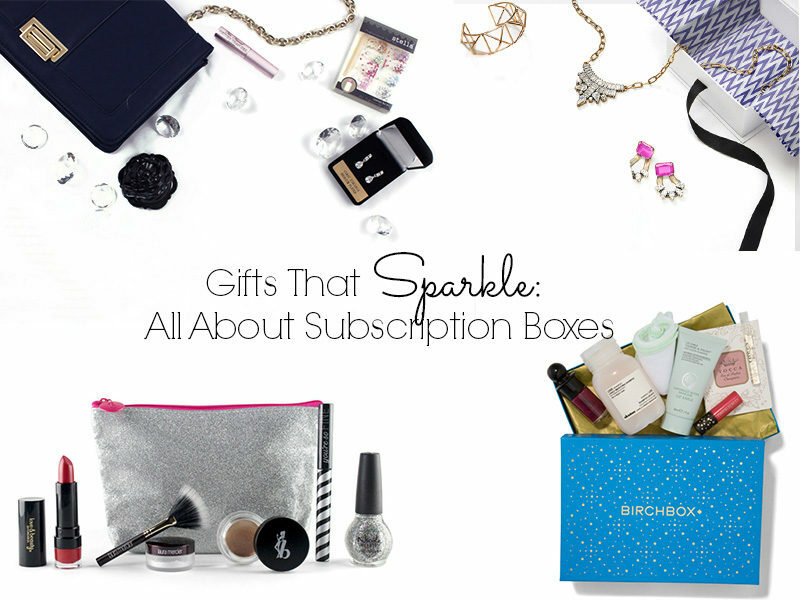 Curated by PopSugar editors, you can either opt for a monthly subscription box, or choose a special edition one-time holiday box or gift collection. (The gift collection boxes are themed by recipient/occasion, ie: Bridesmaid, Baby Girl, etc.) Though not purely a fashion and accessory box, there are also beauty and lifestyle goodies included. The Deal: Each box contains a mix of lifestyle and fashion products valued between $100-200. 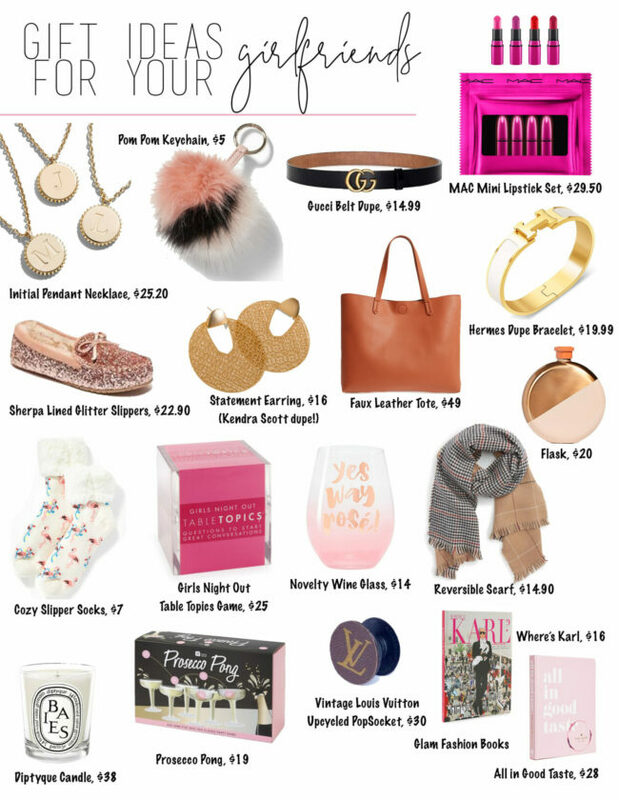 Looking at past boxes, it seems you can expect a gorgeous on-trend handbag, a pair of earrings,a scarf, and some beauty products in the theme of the month. A nice little monthly treat! Past themes include ‘Radiant Orchid’, ‘Night Out’ and ‘Spring in Paris’. 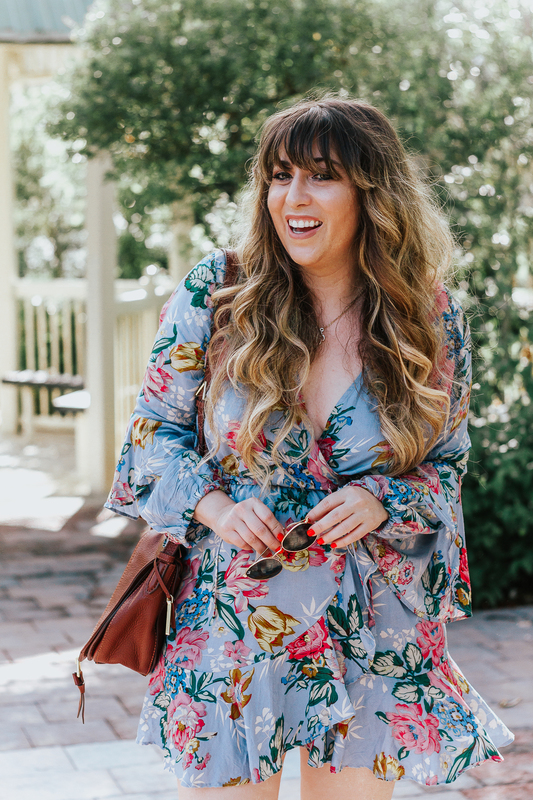 The Stylebox is curated by Socialbliss, a web platform that rounds up the best products and style inspirations and delivers it to you in a straightforward feed. Cost: $39.95+s&h per month, or $420 for a year prepaid+s&h. Gift memberships available in 1, 3, 6, or 12 month options. The Deal: Birchbox was the first subscription service I ever heard of way back in 2010. The concept was brilliant- receive some of the best deluxe beauty samples in the industry, test them out, find the ones you loved, and buy full size products at a discount. I love Birchbox! Because of them, I discovered Dr Brandt’s Glow overnight resurfacing serum and Microdermabrasion, two of my favorite beauty products. 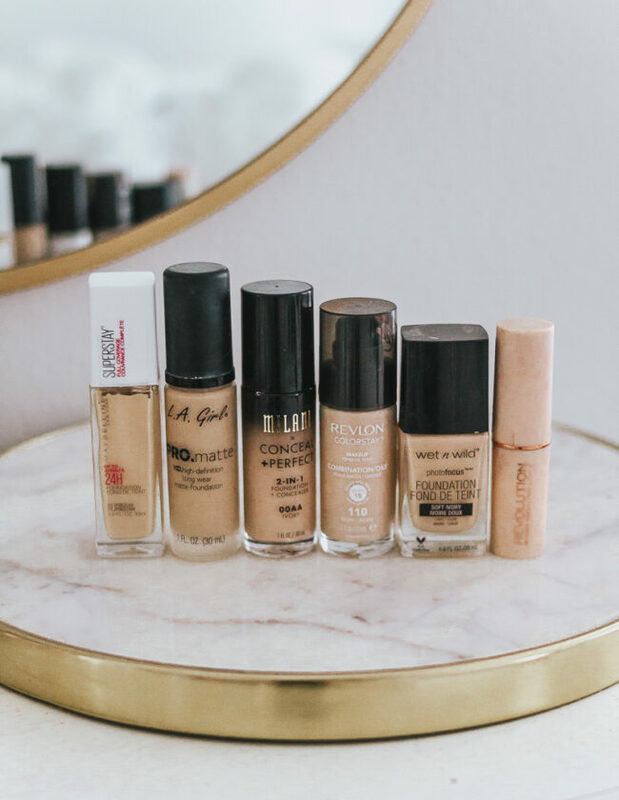 Birchbox is a bit more focused on skincare and hair products… if you’re looking to try more makeup samples, you’re probably better off trying out Ipsy. By the way- Birchbox has made corporate gifting SUPER awesome… you can gift subscriptions to your clients, employees, and more! Special Discount: get $10 in Birchbox Points with coupon code: 100FORYOU. The Deal: In terms of beauty boxes, Boxycharm is the only one that offers five full size deluxe products in their boxes, which is an amazing deal! Each box is themed and usually contains mostly cosmetic products as opposed to some boxes that are more skincare oriented. (I actually discovered and started using the Revlon Bold Lacquer Length + Volume mascara because of a Boxycharm box. It’s nice receiving products bigger than sample size, when you discover a product you love, you can use it for awhile! Cost: $21 per month, or $231 per year. The Deal: Beauty guru Michelle Phan’s beauty box, Ipsy, partners with some of the best cosmetics companies out there, like Benefit, Urban Decay and NYX. Handpicked by Phan herself, the box is super affordable and contains a mix of full size products and samples. In addition to the boxes, you can learn to use your new products by watching video tutorials on the site and buy products for exclusive members-only prices. Bad news: Ipsy doesn’t really sell gift subscriptions right now, as there is a waitlist. I really wanted to include it in the roundup, because it’s probably the service I want to try most. The Deal: For the Makers is for the cool, crafty gal in your life. You get a box with 4 fun DIY projects a month! Usually jewelry or accessory based, you can make beautiful vintage looking bracelets, earrings, wallets, you name it. For the Makers sources high quality materials for you to craft luxe looking pieces that look like you got them straight from a store. This is a really fun, unique box that would make an awesome gift. Cost: $29 per month. $58 for 2 months, $87 for 3 months, $116 for 4 months, $145 for 5 months, $174 for 6 months. Cost: $9.99 per month, $29.85 for 3 months, $59.70 for 6 months, $119.40 for a year. The Deal: Another subscription that is not a box, Next Issue is an app for your tablet or phone that gives you instant, unlimited access to the hottest magazines on the market. I’m a magazine junkie, so this is a great option! There are two levels of membership, a basic and premium. If you’re giving a gift, it has to be a premium membership. I prefer the Premium anyway, because you can get weekly magazines like US Weekly and Entertainment Weekly. (You get the value of the subscription just in that!) Read the latest issues of Vogue, InStyle, People Stylewatch, you name it. EVERYONE is on Next Issue. Cost: $9.99 per month for a basic membership, $14.99 a month for a premium or gift membership.